Outlets provides permanent and occasional care for children aged 0 - 6 years. 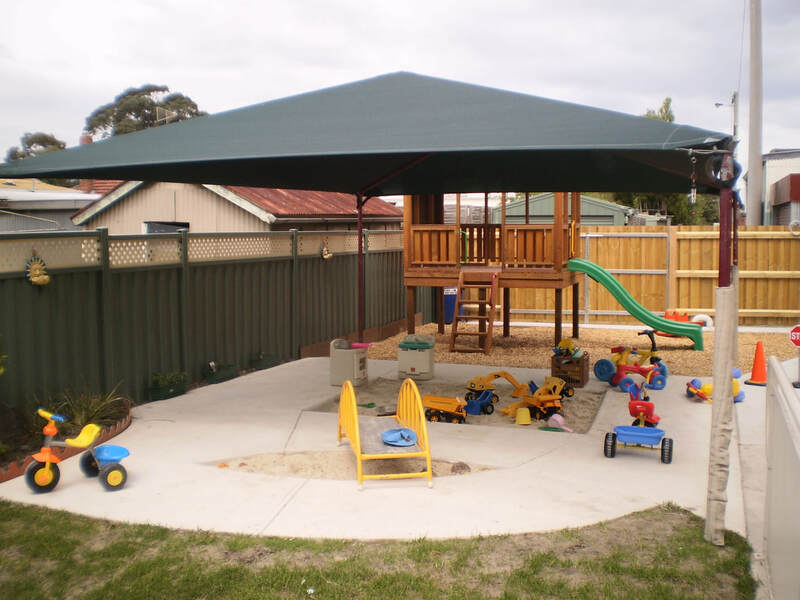 We have a large purpose-built childcare room and an outdoor play area. Permanent bookings can be made on a term basis. Payments must be made in full in the first week of term. Not sure of term dates? See Education Department website. Payment can be made via bank direct debit - see office for details. CCS recipients(Permanent/Regular) payment to be made on day, weekly or fortnightly, direct debit is available. For all adult students enrolled at Outlets requiring childcare during their study/course. Childcare is automatically available to students. Child Care is available for selected day courses. Child Enrolment Forms & attachments (if required) must be completed prior to leaving your child/children. Immunisation records must be shown/sighted by staff member. See "No Jab-No Play" document below. Parents are to bring necessary items ie: bottle, nappies and change of clothes. We are "Sunsmart." Legionnaire or wide brim hats are required for outdoor play. Please ensure you have your child's name on all items to ensure correct return. 1 snack (we encourage healthy and nut-free) - eg. sandwich, fruit, biscuits. 2 snacks (we encourage healthy and nut-free). It is essential that parents/guardians sign their child/ren in and out on arrival and departure in the Attendance Book. Please ensure you pick up your child on time. If you know you are going to be late please call us, as late charges will apply. Please be mindful of noise and the behavior of your child/children at drop off and pick up times, as the Centre is multi-functional, where formal learning (Adult Education) takes place and there are numerous courses and classes running during these times. To ensure a flexible program is maintained to encourage growth, cultural & developmental needs of the children aged 0-6years. Understanding interests & experiences of each child & the sensitive needs of the individual. Ensuring that the children's developmental needs are met. Importance of care & education for children. Programs builds on developing an overall plan for the centre (benchmarking occasional care). Encourage parent involvement & value your input, ideas and support. Outlets employs qualified staff to ensure principals, policies, regulations, child programs are adhered to & developed.